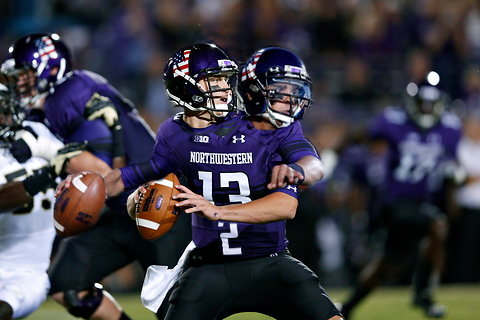 In April, Northwestern football players voted on unionization. The results, however, won't be known for awhile. They will be revealed after the federal NLRB rules on the NCAA's appeal to overturn the landmark decision that allowed Northwestern athletes to be classified as university employees. That means it will be several months before the union forms or we see an excessive celebration from Mark Emmert. What does this mean for Northwestern moving forward? 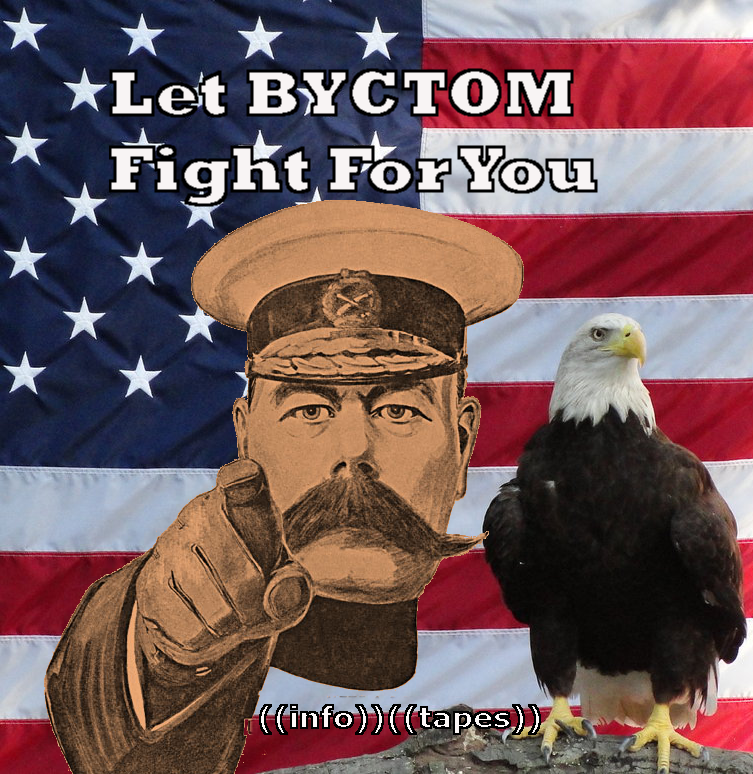 Disclaimer: BYCTOM is a legal expert on all matters of Internet Football Law. Our legal team has been hunkered in a closed concrete bunker for the past several months receiving legal documents through a pneumatic tube system to explore every possible precedent for legal action in this case. Do not trust other websites or so-called legal experts to explain any part of this situation to you. There is no more trusted, accurate analysis of the Northwestern union situation on the entire internet than a blogspot website called "Bring Your Champions, They're Our Meat," and you should expect to see this post mentioned in legal citations for generations. BYCTOM also specializes in horse-law and shipwreck treasure arbitration. While Kain Colter, College Athletes Players Association, and others have been encouraging unionization, the efforts have not been popular with other Wildcats. Quarterback Trevor Siemian opposed the measure, stating that he was satisfied with his treatment at Northwestern. 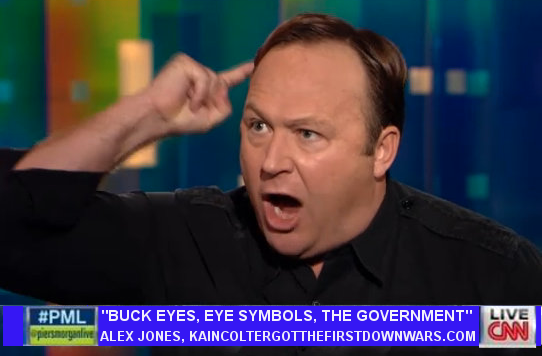 This was troubling since he and Colter combined into a theoretically unstoppable passing/running multifaceted quarterback threat for the past two seasons, and I assumed that the Cats' unorthodox sleep studies and training with Navy SEALs were experiments designed to link the two signal-callers' brains like the robot operators in Pacific Rim. Other players have suggested that the union fight is a distraction. The case certainly drew far more attention to Northwestern athletics in the spring at a time when the basketball team traditionally eliminates itself from the NCAA tournament and everyone forgets that Northwestern football exists. Certainly Northwestern's administration did all that it could to dissuade football players from unionizing. Coach Fitz has found himself in a strange position. He has depicted himself as an earnest, crew-cutted boy scout troop leader, selling Northwestern's academic bona fides. 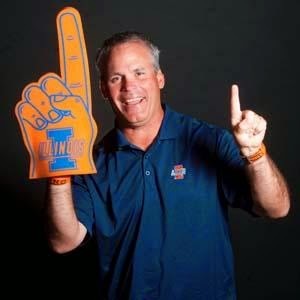 When Colter began to publicly ally support unionization by stenciling references to the "All Players United" slogan on his wristbands, Fitzgerald publicly supported the gesture while disagreeing with the message. But, with a looming unionization vote, Fitz has lined up squarely behind the university. He has sent out messages to, in his words, "educate" players and their families about the university's fears against unionization. Regardless of the results, union activism has made some impression. Athletic Director Jim Phillips has recently argued that athletes should have voting voice in major issues that concern them. He opposes a union, however, because he, Northwestern, and the NCAA do not believe that athletes are employees. Phillips, like Fitzgerald, claims that schools should act in the best interests of athletes without the involvement of a union. Union activists counter that schools will continue to pay lip service to changing conditions unless an organization representing players can apply pressure and bargain collectively. The central problem is that the link between a massive minor league football apparatus and universities makes absolutely no sense. Our national love affair with watching organized people smash into each other, mixed with regional pride, mixed with college students holding up signs and the pompous pronouncements of television personalities, and combined with people willing to call into Paul Finebaum's show and yell at each other like professional wrestlers for my amusement, is grafted onto an already unwieldy educational complex. It seems unlikely that the NCAA can continue to hold this all together. It is impossible to endorse the status quo, where enormous piles of money make their way to universities, the NCAA, conferences, and other college sports-adjacent organizations while the young people who smash into each other are governed by an elaborate set of rules designed to prevent them from capitalizing on their smashing while Ed Orgeron is allowed to use his football notoriety in order to convince people to pay him to talk in public. College athletics, especially in the big revenue sports, is inherently absurd, corrupt, unfair, and hypocritical. 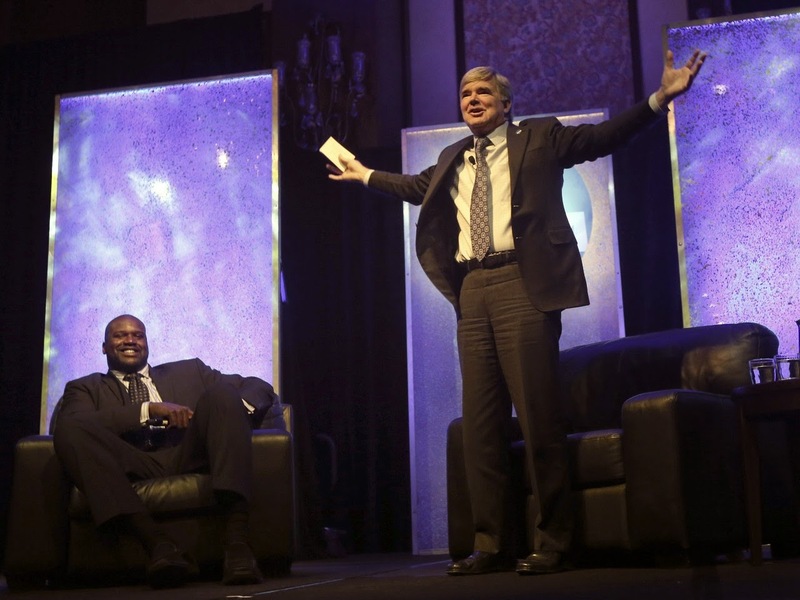 Northwestern's unionization efforts have contributed to the increasingly loud outcry against the NCAA. Northwestern, which has tended to position itself as a model program that graduates nearly all of its athletes and insists on higher academic standards for recruits, now stands as a citadel against athletic unionization and for the untenable status quo. It's certainly not news that that college sports are rife with contradictions or that the NCAA's defense of amateur athletics rings hollow. This has been true since college sports existed. But it is odd to see Northwestern at the front lines of organization efforts. 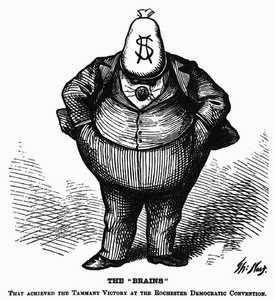 It's hard to celebrate college football while the NCAA and others taking a share of monstrous college sports profits comport themselves with the fiscal integrity of a nineteenth-century political machine. The reason why all of this money is at stake is because college football is spectacular. I love Northwestern football. I can't wait for next season. I hope Northwestern's football people smash the crap out of lesser football people. I want to hear the fight song when Venric Mark zooms past a bunch of hapless linebackers. I want Northwestern to anger a bunch of people from Iowa. I want to root for the Wildcats to take the Former Legends Division while being conflicted that the Big Ten has sane, cardinal-direction based divisions and I can't make fun of the LEGENDS DIVISION anymore. Most importantly, I want to continue to support Northwestern athletics for the sole purpose of frustrating the designs of Tim Beckman, who made the grave error of trying to respect Northwestern as a rival and has thus fated himself to be ground into dust by the state's slightly less miserable conference rival. Kain Colter, the face of college football unionization, has graduated. He will attempt to catch on with the Minnesota Vikings along with Tyler Scott. 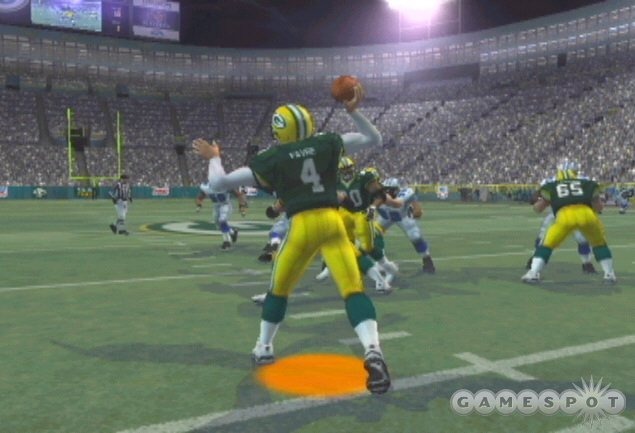 Both hope to join Corey Wootton, who signed with the Vikes as a free agent because the Minnesota Vikings have apparently hired me as a general manager to build the team the way I used to load all of my Madden teams with Wildcats. Colter's work with CAPA has deservedly taken the lion's share of attention, but the Wildcats will miss him on the field as well. Kain Colter was probably the most fun player Northwestern has had. He lined up all over the field, but as quarterback he was more effective as a runner than a passer. On third and long, over and over again, he took the snap and scampered past a helpless defense that had to know what was happening but was unable to stop it. 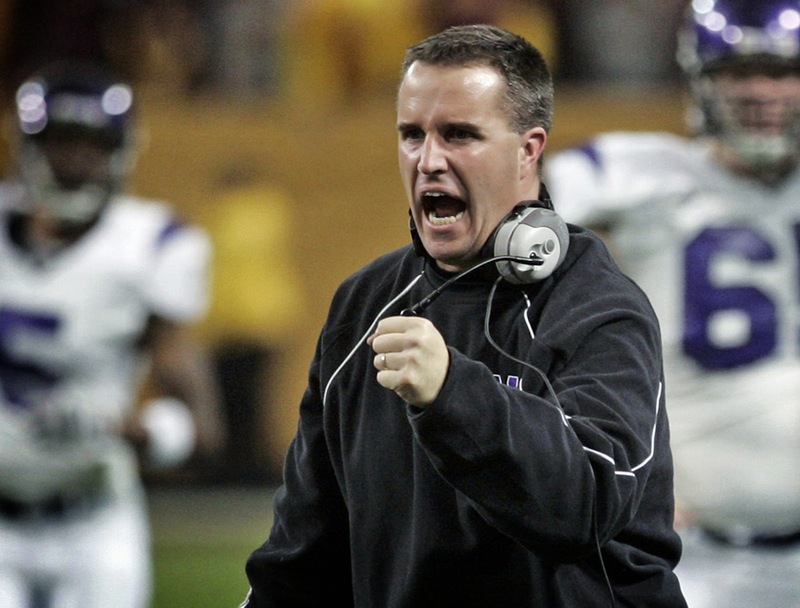 When Mark was healthy, they formed the most exciting option attack Northwestern had ever fielded. He came off the bench to hit Ebert with a strike that went 81 yards to help upset Nebraska in Lincoln in one of the most memorable wins of the Colter era. And, he clearly got that fourth down against Ohio State, regardless of what the corporate ESPN mainstream media want you to believe. Northwestern's outlook for the season is unclear. The 'Cats lost Colter and a number of other talented seniors, but they will return Venric Mark and the core of an improving defense. It is also unlikely that they will suffer from the horror of last year's impossible season when they lost game after game on plays that only happen at the end of sports movies. Historically, the 'Cats have not performed well lately with preseason top-25 rankings and expectations, and will have the luxury of letting the season grow into what it will. No matter what happens on the field, the unionization issue will continue to hover over the program. We're all looking forward to the Wildcats feeling their way into a new Big Ten landscape brought about by another wave of ridiculous and byzantine conference realignment. I look forward to developing an enmity towards Rutgers and Maryland when it comes time to actually play them. I look forward to Sonny Dykes swearing revenge after accusing the 'Cats of faking injuries without the panache of their face-clutching basketball and soccer-playing compatriots. And, most importantly, I look forward to a version of college athletics where players have an opportunity to challenge the NCAA and universities in order to gain fair compensation for totally wrecking an opposing quarterback.